My-Picture.co.uk sell an array of photo products from Acrylic Prints, photo books, phone cases, mugs, jigsaws and Photo blankets just to name a few. My-Picture offered to send* me a product to review so I had a look on their website and decided on one of their photo books. I have printed photos out since Lucas was born because I don’t want to loose them when I change tablet or phone, I want a physical reminder of him growing up and something to be able to give him when he is older.My parents have always kept photo albums and it is lovely to be able to go back through them and to show Lucas what we were like as children. So although I have always printed photos out and made sure I have dated the backs, I have never got round to putting them in albums. 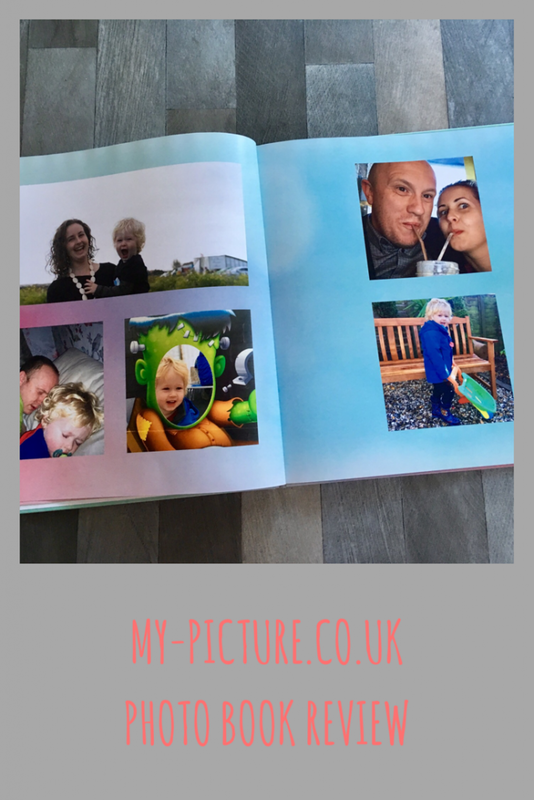 I thought making a photo book would be a fab way of keeping a proper photo time line and something I could order every six or twelve months to keep on top of all the photos. I went onto the website and found out that you can’t make photo books on phones. I do everything on my phone and that’s where all my photos are so it wasn’t the best first impression but they do say that it will soon be available on mobile devices. After I emailed myself all the photos I wanted in the book, I started the book on my computer. There are an abundance of backgrounds to choose from and you can add text where you want throughout the book. 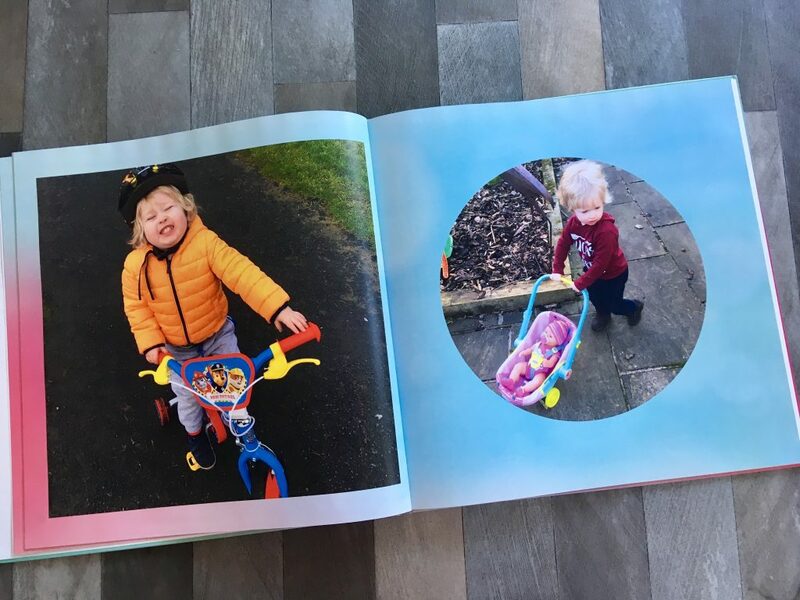 You can also have a different background for each page so you can really personalise it to how you want. I went for the same background throughout the book. When uploading photos you can use the photo boxes that are already on the template or you can remove them and add as you want them. You can also have square, circular or rectangle photo boxes. I liked that I could add the photo boxes as I wanted but I do think it could be improved by having guidelines so you know that the pictures are evenly placed. To be honest, I struggled quite a lot with creating the book and took a lot longer than it had taken in the past on previous websites. However, once the book arrived in the post, I couldn’t have cared less and would most definitely be using them again. The quality of the book and the photo resolution is incredible, far better than I expected and I absolutely love it. I love photo books much better than snaps falling out of an album! Perfect way to treasure those precious family photos. Photo books are the perfect way to treasure priceless photos. A timeless keepsake. 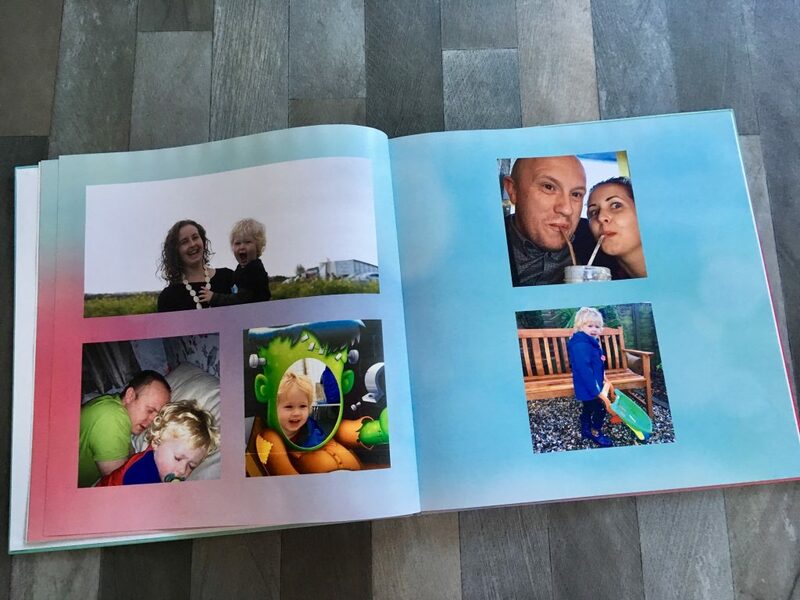 Your photo book looks lovely, it’s a great way of showing off photos. Thanks for the chance to win. This is wonderful. I’d love this for all my family memories. Sounds great -I like the backgrounds on your photos. Lovely photo books. 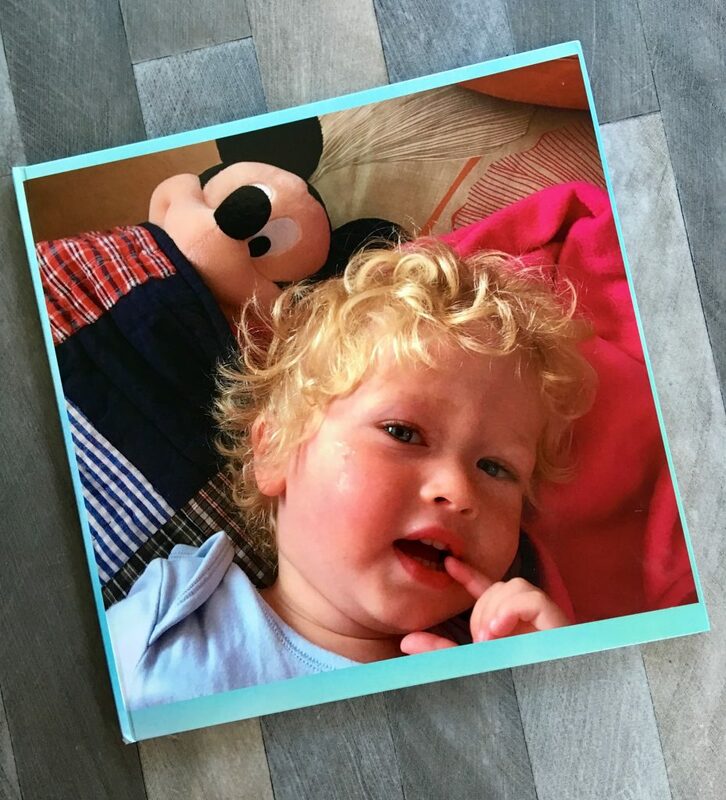 I could do with making up a few photo books myself as my son is growing fast and i would like to get the photo’s off my computer and into a book format. I love photobooks, they always make great gifts! I totally agree that a photo album is that bit more special than scrolling through the photos on your phone! I love photo books, there’s something about being able to have a physical thing to look through that makes it more special than an online album. This looks lovely, It would make a nice gift too! I’d love to do this with my wedding photos! These books are so lovely! and perfect for those special holidays memories!. Could really do with one of these to store our memories, as kids grow up so quickly! 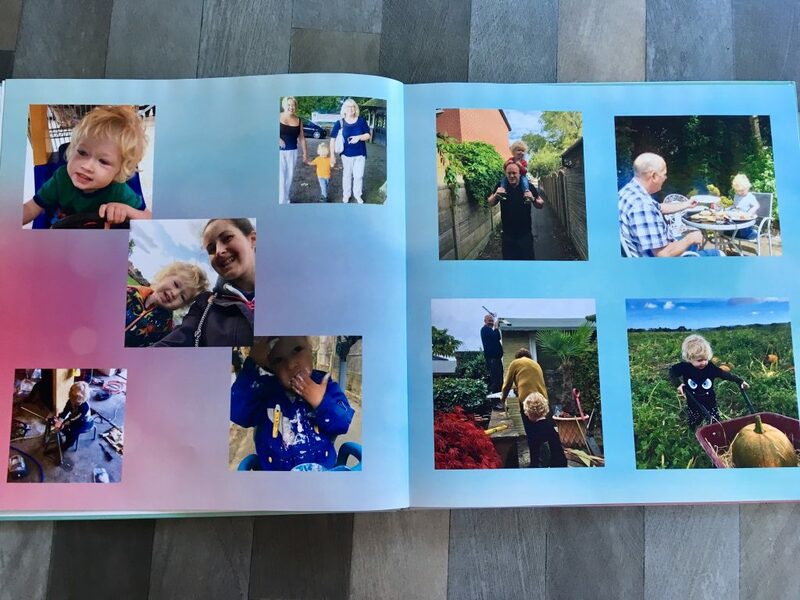 This would make a lovely gift for a grandparent, full of the grandkids photos! Wow, what a beautiful photo book! I’d love to win this – i have so many photos id love to take a look at whenever i want! These look great! Perfect place to store memories. This would make the perfect gift for my step sons upcoming 18th birthday . He’s moving away to uni soon after so taking a book of memories eith him would be lovely. We just got back from Florida this would be perfect for all our holiday pictures!